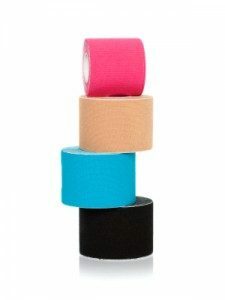 Taping and strapping has been used by sports men and women for decades to give support and decrease pain. 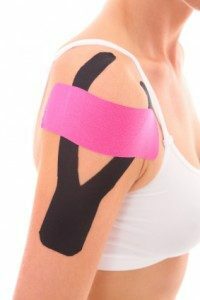 We regularly use taping as an adjunct to other treatment to assist in your recovery or rehabilitation. We use traditional and kinesiology tape (the colourful tape) that you see on many high-level sports people today for various reasons. Unfortunately, we request that all tape must be purchased through the clinic to ensure that the correct tape and quality products are used. All surplus tape can then be kept and reused the next time you require strapping. If taping or strapping is required as part of a treatment session no fee will charged. However, if repeated strapping is required over multiple sessions you may be asked to pay to cover the costs of any materials used. This amount will be told to you prior to any service given.